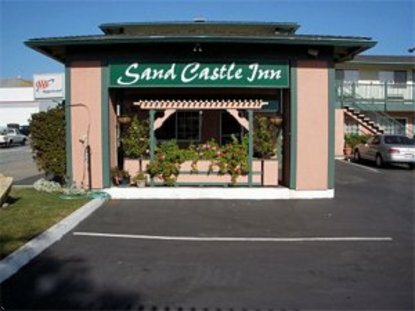 The Sand Castle Inn is located two miles north of downtown Monterey, CA. in a quiet, congestion-free section of Seaside, CA. Our rooms are fresh and updated regularly providing quality amenities for the leisure traveler or busy businessman. Free parking, free wireless internet, a free Continental Breakfast and a Guest Laundry are just some of the property amenities. Close at hand are several types of restaurants, a large shopping area with several stores such as Target, Save Mart and Circuit City, McDonalds, Taco Bell and Starbucks outlets, in addition to easy entrance-exit from the Highway 1 freeway. The Inn is convenient to golfing, the beach, activities and all events on the Monterey Peninsula.